This week a study links increased nightly fasting to reduced risk of developing breast cancer, the possible protective effect of flavonoids naringin and rutin against short-and long-term memory defecits, and BANT members benefit from 50 per cent off tickets to The Sugar Reduction Summit on 22nd September. Welcome to the August issue of BANT ENews, despite the summer holidays, we once again have a very full and informative issue this month. Our theme for August is eye health, with a particular focus via our Featured Article on Macular Degeneration. Satu Jackson provides us with an update from the BANT Council’s Quarterly Meeting in Director’s Corner and we have an update from our recent Regional Branch Meeting in Leeds. Welcome to the August issue of BANT ENews, despite the summer holidays, we once again have a very full and informative issue this month. Our theme for August is eye health, with a particular focus via our Featured Article on Macular Degeneration. Satu Jackson provides us with an update from the BANT Council’s Quarterly Meeting in Director’s Corner and we have an update from our recent Regional Branch Meeting in Leeds. Access the BANT news here. 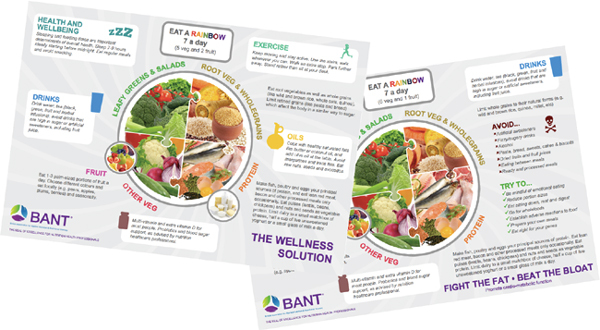 We are delighted to bring you the recorded presentations and slides from three BANT Regional Branch meetings that featured high quality speakers on the topic of Nutrigenomics at locations across the UK. The events were rated ‘excellent value’ by the majority of attendees. This week an intriguing study looking in to the effect of resveratrol on Alzheimers, a study linking the diet of fathers to risk of developing breast cancer in daughters, and there are still spaces available at the CAM conference in November on stress and chronic inflammation. The follow up to a study published in the journal Neurology last year has found that long-term resveratrol treatment in sufferers of mild to moderate Alzheimer’s seems to slow the progress of the brain disease. The findings were reported to the Alzheimer’s Association International Conference 2016 in Toronto this week. Found in grapes, blueberries, raspberries, chocolate and red wine, the compound resveratrol is believed to be instrumental in the release of sirloins, as happens during caloric restriction known to reduce age-related diseases in animals. This trial also discovered that in the participants taking resveratrol, the levels of matrix metalloproteinase-9 (MMP-9), an inflammatory protein involved in the breakdown of the blood-brain barrier, was reduced by 50 per cent. MMP-9 is reduced when sirtuin1 is activated. In this trial by the University of Sao Paulo, published in the journal of Breast Cancer Research, it was discovered that the daughters of male rats fed a diet high in animal fats were more likely to develop breast cancer. 60 male rats were fed a high fat diet based on lard or corn oil and compared to a control diet. Subsequently, their email offspring were fed a normal chow diet. Once the daughter rats reached 50 days old, mammary tumour growth was stimulated. Tumour growth, the number of tumours, the length of time it took for tumours to start growing, and the volume of the growths were compared and used as indicators of breast cancer risk. The team discovered that the daughters of the male rats that had been fed the high fat, corn-oil based diet (high in omega 6 polyunsaturated fatty acids) grew fewer tumours, showed reduced tumour growth, and the time it took for tumour growth to initiate was longer. Nutrition resolution: breaking the cycle of stress and chronic inflammation on Saturday 5th November 2016, 9.50-4.30pm. Dr Jolanta Opacka-Juffry, a neuroscientist with interest and expertise in experimental brain disorders, depression and effects of early life stress, particularly prenatal and early postnatal stress. Lou Lebentz specialises in sugar and obesity addiction and has experience and understanding of the role of chronic stress in addictive behaviours. Dr William Walsh has a wealth of experience with behavioural disorders, depression, anxiety, schizophrenia, ADHD, autism and Alzheimer’s, with a particular expertise with nutrient imbalances and how they alter brain chemistry.